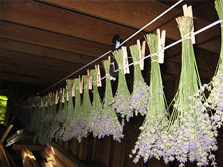 North Winds Lavender Farm, LLC is situated on twenty-four secluded acres in Pawling New York, overlooking the Harlem Valley, the Litchfield Hills of Connecticut and the Berkshire mountains of Massachusetts. We are a private farm, not open to the public. The unique location and higher-elevation microclimate is conducive to growing several varieties of lavender with natural beauty and sweeping views. North Winds Farm is family owned, established in 2005 and is currently growing lavender varieties hardy to zone 5 and lower. Our plan is to grow additional varieties every year, grow less hardy varieties in our greenhouse and introduce additional products to our current inventory. We sell quality products and all of our Lavender is grown naturally. Only essential lavender oil is used when needed in our products; no fragrances are added. All products are handmade at the farm with old world attention to detail. Our product line includes: dried bunches of lavender, wands, indoor and outdoor lavender, sachets, dream pillows, eye pillows, microwavable aromatherapy pillows, handmade soap, lavender oil, lavender buds (both craft and culinary) hand rubbed beeswax and lavender taper candles, travel candles, and hand painted art work. We are still adding new products; we have added culinary products using our natural grown culinary lavender. We sell lavender jelly, lavender syrup, lavender shortbread cookies and lavender scones. Those of you who get to meet us at Farmers' Markets see from time to time additional items not sold on our website. 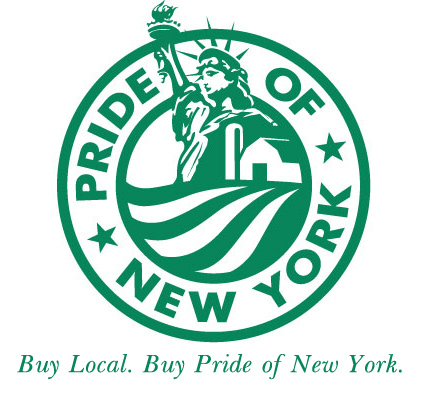 Visit us at your local farmers market from May through October. Unfortunately we cannot ship plants through mail services. We do deliver plants within a 50 mile radius at an additional delivery cost. We also construct lavender wedding favors, personalized if requested and special packaged lavender to toss at the bride and groom if requested. We sell our products at Farmers' Markets, Specialty Stores and online by calling the farm or sending an e-mail. If you see a product that you wish to have a different fabric design on, please call and we can accommodate. Allow extra time as this would be considered a special order. All content is © Copyright 2019, North Winds Lavender Farm, LLC. www.northwindslavenderfarm.com. All rights reserved. Do not copy or take images or content from this site without written permission.